Get your Fixed Cheek Walking Horse Bit and other Walking Horse Bits today made of unmatchable craftsmanship. As horse lovers ourselves we also strive to offer the Fixed Cheek Walking Horse Bit made of exceptional quality which are made to last. This Walking Bit is a fixed cheek mild port. 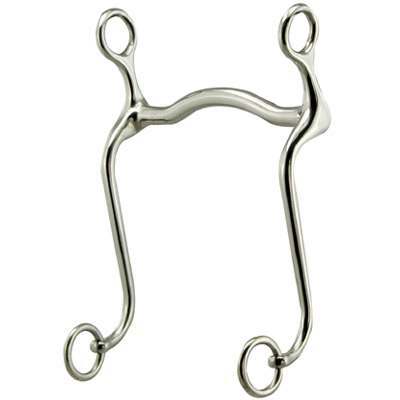 The size of this Walking Horse Bit is 8'' in the shanks and is available in size 5''. As horse enthusiasts ourselves our number one priority is to offer our customers Walking Bits which we believe are made to last and available at affordable prices.